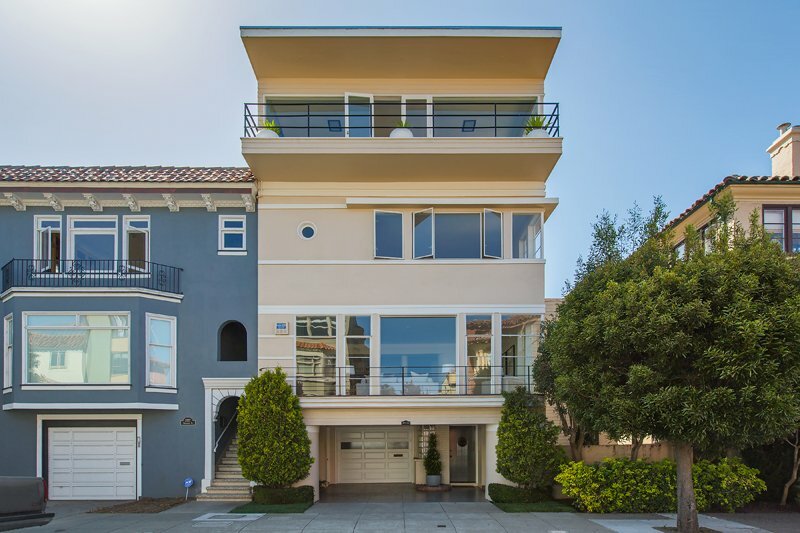 This large, lovely home is nestled close to the Marina Grn & St Francis Yacht Club/Harbor in SF’s coveted Marina. 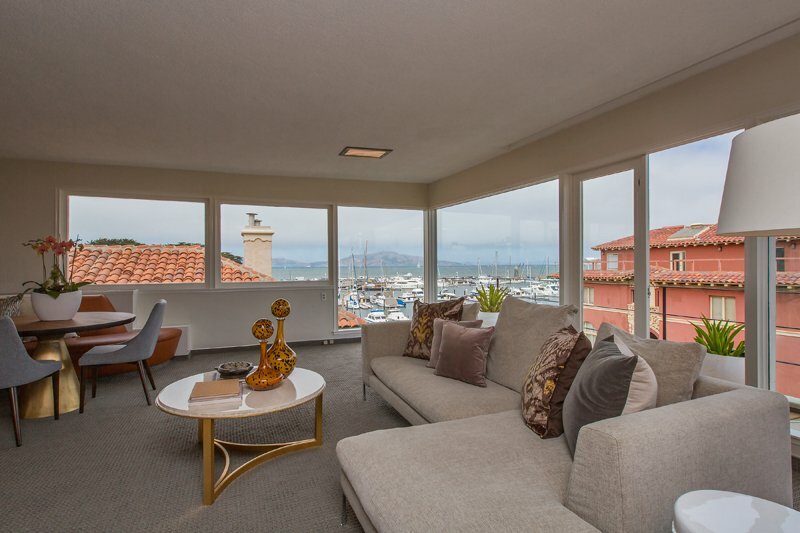 Stunning Bay & City views f/ pentrm, master ste, rf dk. 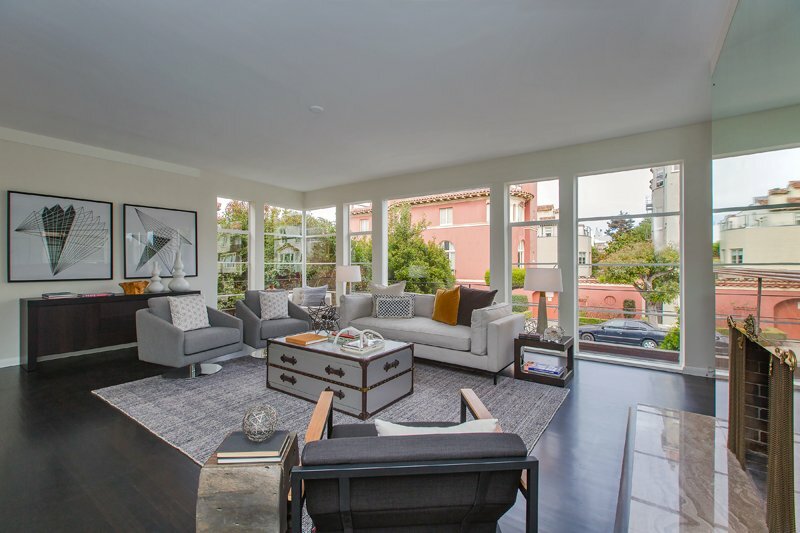 Flr-to-ceiling windows maximize natural light & outlooks. 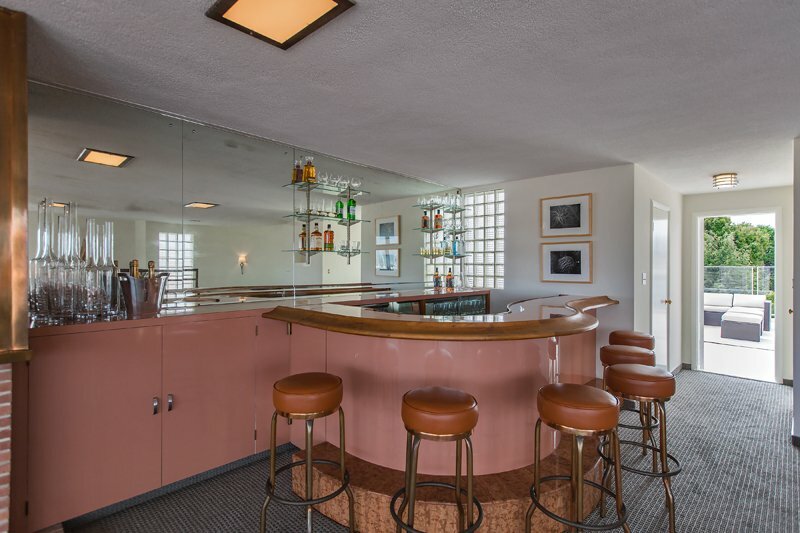 Clearly designed for entertaining w/ two bar areas & indoor-outdoor orientation. Excellent floor plan. 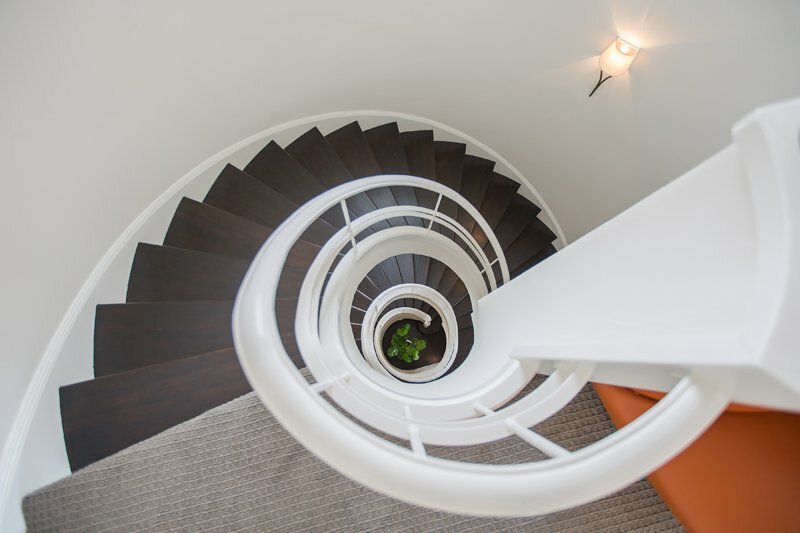 Curved central staircase w/architectural excitement. Ebony-stained flrs. 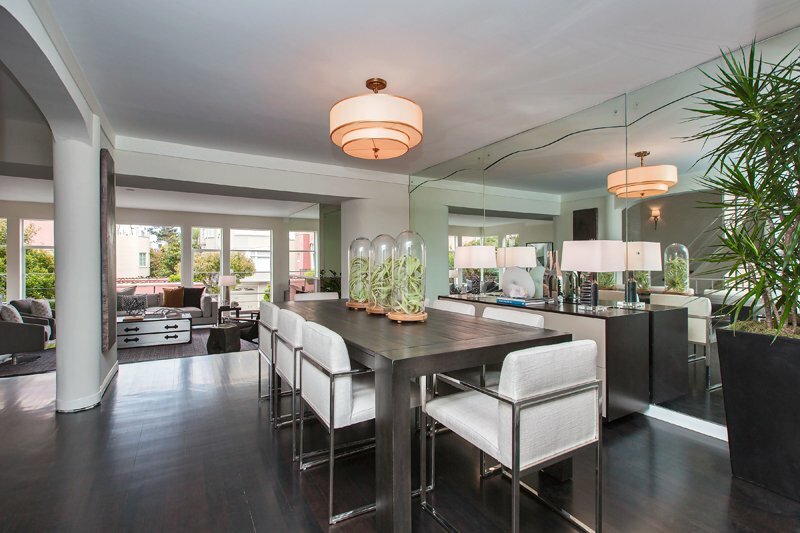 Sunken LR, FDR, large eat-in kitchen w/ dual sinks, island, pantry & more, opens to west terrace & overlooks garden & patio. 3BR & 2BA on 3rd level, 2BR & 1BA on ground level. Pwdr rms on main & 4th levels. Views abound f/ 4th level pentroom, terrace, roof deck. 2 car interior access garage.